The man was celebrating a bachelor party. Under the effects of alcohol, he asked to have his ‘Ray-Ban’ glasses tattooed on his face. Now, after two years, he has managed to remove the drawing. 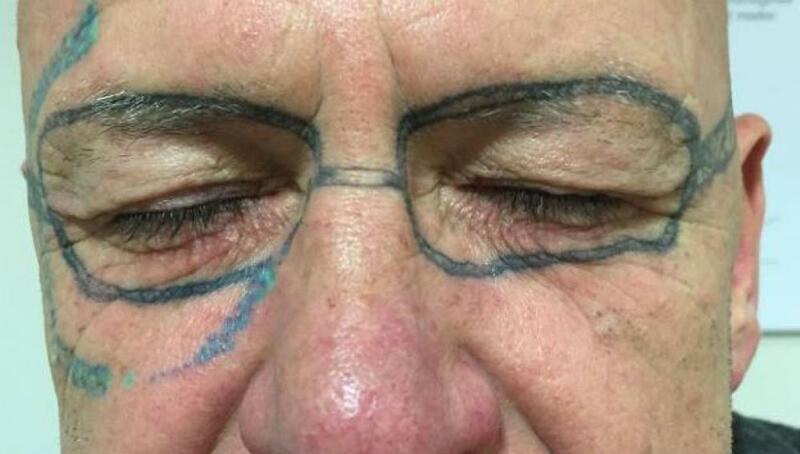 A man from Wales has had to live for two years with a tattoo of glasses on his face. During a bachelor party and low alcohol effects, the man asked his friends to do the tattoo. “I had no memories of having the tattoo because I had gone out to celebrate and it happened when I was drunk,” the man told the Daily Mail newspaper. At first, he tried soap and water but when he saw that it did not work he had to undergo a gradual laser treatment until he had managed to eliminate the tattoo two years later.